Sola Sisters: Francis Chan: "I love Mike Bickle"
Francis Chan: "I love Mike Bickle"
Thank you to Ken Silva of Apprising Ministries for his recent article documenting that popular Christian author and speaker Francis Chan has publicly given his enthusiastic endorsement of IHOP false teacher Mike Bickle. 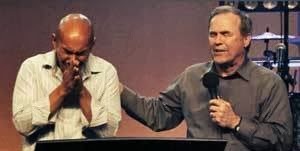 (Watch video of Francis Chan declaring his love and affection for Mike Bickle here.) To learn more about Mike Bickle, you may watch the video below, and follow some of the links at the end of this article.